This board has been produced to allow the ECU in the early Mazda MX5/Miata models with the 42-pin processor to be retuned, it is possible to support other models, please ask. 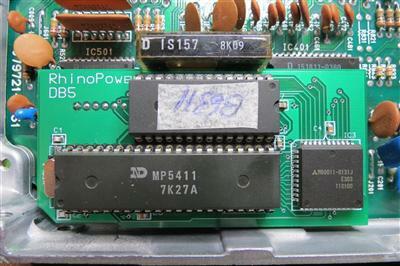 The stock processor is relocated onto the RhinoPower daughterboard which reconfigures it to run with an external EPROM or Flash memory device. The EPROM pinout is 27C256 compatible so most emulators can be used - we have used a Moates Ostrich 2 during development. 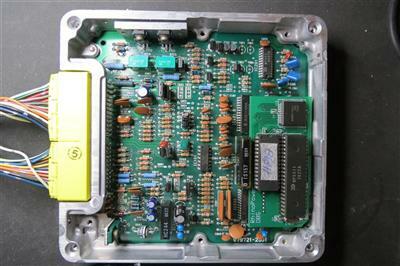 A Mitsubishi port expander IC is used, this is a proven automotive quality device that was fitted in many OEM ECUs and allows the original ECU software to be used unmodified. 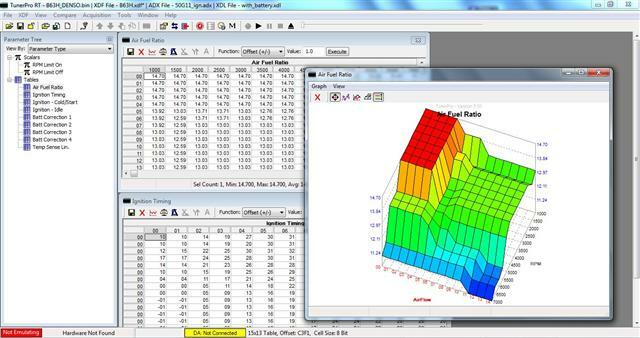 Several different binaries are already available, some TunerPro definitions are also available and these are gradually being expanded to over more models and to allow more parameters to be tuned. Please contact us if you have a specific requirement. The 42-processor must be unsoldered and replaced with a socket, RhinoPower can carry out this work on your ECU or we can supply an exchange modified ECU programmed with the binary of your choice, please email us for details.